Convicted triple killer and former Your Black Muslim Bakery leader Yusuf Bey IV, who was once accused of ordering a follower to kill witnesses against him, has been placed in solitary confinement at San Quentin state prison after trying to bribe a guard to give him a cell phone, a Department of Corrections and Rehabilitation spokesman said. Bey IV, 26, “offered an officer money and sports tickets in exchange for a cell phone,” corrections spokesman Luis Patino said in an email. Documents detailing the charges are not public and cannot be released, he added. It was unclear Wednesday if Bey IV’s attempt to acquire a phone involved a threat against anyone. Bey IV’s appellate lawyer, Clifford Gardner, said he was unaware of the incident and could not discuss it. Deputy District Attorney Melissa Krum, who prosecuted Bey IV and called more than 70 witnesses against him — some of whom expressed deep fear of the former bakery leader — also declined to comment Wednesday. Bey IV was convicted in June of ordering journalist Chauncey Bailey and two other men killed in 2007 and sentenced to three consecutive life terms without parole. His co-defendant, Antoine Mackey, was convicted of two murders and sentenced to two life terms, also without parole. Bey IV was accused in April 2010 of trying to have his attorney, Lorna Patton Brown, smuggle a hit list of witnesses in his murder trial out of jail. Brown later admitted taking what she thought was a love letter out of jail for Bey IV, and received a two-year suspension from the state bar association. Bey IV was never charged in connection with the incident, and a spokesman for Alameda District Attorney Nancy O’Malley said Wednesday that Brown will not face criminal charges in the matter because the statute of limitations has expired. Brown admitted to the bar association that she committed a misdemeanor, the spokeswoman said. Drennick said she was not aware of the Department of Corrections action against Bey IV. It was not clear how long Bey IV will remain in administrative detention. The matter will be reviewed, Patino said. State law prohibits inmates from having cell phones, but corrections department records show more than 15,000 were confiscated in prisons last year, up from 1,400 in 2007. Even infamous Helter-skelter killer Charles Manson was caught with two cell phones in 2011. The corrections department is testing technology to block cell phone access, according to a January report. Tests at two prisons last year blocked an average of 2,500 attempts a day to make calls, send text messages or log onto the Internet. 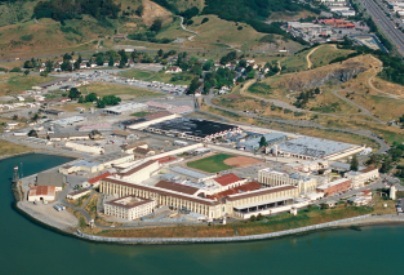 Bey IV is one of five former bakery members imprisoned in San Quentin after felony convictions. Mackey, also 26, is also incarcerated there, as is Bailey’s confessed killer, Devaughndre Broussard, 23, who testified against Bey IV and Mackey. Bey IV’s 24-year-old half brother, Yusuf Bey V, is serving a 10-year sentence there following a plea bargain in a 2007 kidnap and torture case. Another follower, Tamon Halfin, 25, is serving a 16-year sentence there. Another bakery member, Richard Lewis, 28 convicted in the kidnap and torture case in 2010, is serving a life term without parole at Salinas Valley Prison.